Book Fair fundraisers can be great way of pulling your community or school together, and raising big funds for your cause. Although it's not the funnest fundraiser event on earth, it is still extremely popular. 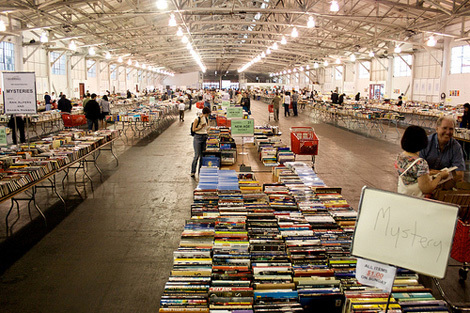 A book fair is a fundraising event where vendors or a single vendor (possibly you and not an outside provider) will promote and sell books. 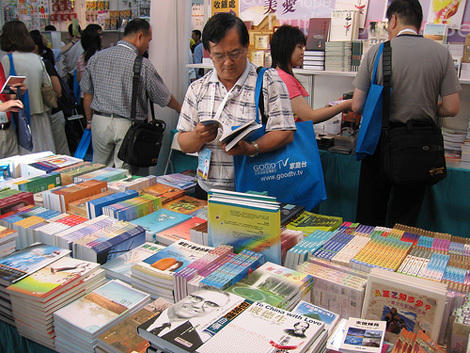 People buy books on a regular basis and supporters will often find great deals, and learn about new and exciting books at a book fair fundraiser. It is the perfect event for schools and organizations with youth groups, as it can be held as encouragement for kid's to read. It is also a great opportunity for parents to buy their children's books at discounted prices, and conveniently, all at once. You will raise funds through this fundraiser by receiving a percentage of sales made by the vendors and/or through vendor fees for their space at the event. You will also raise funds through your add-on fundraisers (something you should do at every fundraising event). Book Fair fundraisers, like any events, will take quite a bit of organizing. You will need to find a location! A field, hall or conference room. You will need to decide on monetary factors, like what percentage commission you will earn on sales... And then set those contracts up with the book vendors. You will need to decide on what add-on fundraisers you will use and set those up. Look at some options further down the page. If there will be young kids at the event (Highly likely), you will need to think of extra forms of entertainment for them, like a jumping castle, and have someone organize that. Will you have contests, giveaways, and book talks? And how else will you get the kids involved and promote the benefits of reading? You will also need to plan how you are going to promote and advertise your book fair. Read further below. These are all things you will need to think about and organize. If you want your book fair fundraiser to be as profitable as possible then you will need to be as prepared and organized as possible! I would recommend that you read through the Organizing Charity Fundraising Events page to help you with planning your event! Another highly recommended piece of literature that I would recommend you read before running any fundraising event is The Instant Event Fundraising System. It will help make the organizing of your event so much simpler! Once you have organized and planned your book fair you will need to start advertising and promoting it, so that you get as many people attending and supporting! If you are a school, start with announcements at assembles, in classes, and send home flyers or advertising letters with kids for their parents. Other groups like churches can do similar announcements. On your website and through your newsletters. Also use all your Social Media accounts, both personal and organizational. Keep updating as the event comes closer and keep it interactive with your supporters, encouraging them to ask questions and to retweet etc. Place posters up and around your organization and ask local businesses to do the same. Encourage them to also hand out flyers to their customers and employees. Get the book vendors that are coming to your event to do the same. Also get both the local businesses and book vendors, to post about it on their websites, Facebook pages, and twitter. For more great ideas on promoting your Book Fair Fundraisers read here. What Add-On Fundraisers Can You Use? There are quite a few different fundraising ideas that you can add to your book fair. Corporate Sponsors - This can often be the most lucrative fundraising method for all your events and you should start finding sponsors months in advance. You'll want to get your hands on Shanon Doolittle's, "Finding Corporate Event Sponsors" DVDs, to learn how to raise huge funds through event sponsors! Raffles and Auctions. The obvious add-ons. Using both might work well but you may want to choose either or. Food and Drink Stands. Do it yourself, or get outside vendors to do it and take a percentage of their sales. By selling fundraising products that you are currently using to fundraise with. Like branded Apparel, Discount Cards, or your Organization Calendar. Grab a free fundraising product guide to see what products are currently profitable that you can use. Simply asking for donations. Have a donations box going around or placed at each stand, where you ask for any small or large donations! Donation Scratchcards can also work very well. You should also promote all your internet fundraisers like your Crowdfunding campaign, your online auction, or your online magazine fundraisers! And use any other creative idea that you can come up with! You must remember to also promote your other events at all your book fair fundraisers! Thank everyone involved on the day and also afterwards. Contact them individually and post your thanks on your website, your Facebook page, and on your Twitter account! This fundraising idea can quite easily become a necessity for your supporters, and can grow into an annual or bi-annual event if you run it properly. So be organized and efficient... and make sure everyone gets value and enjoyment out of your book fair fundraiser!